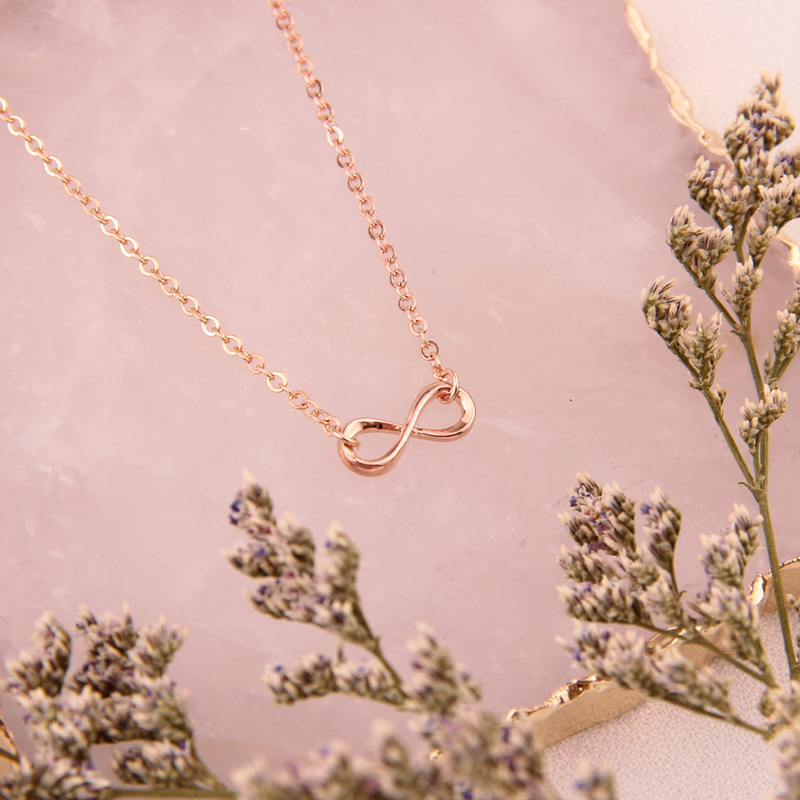 The Mini Infinity Necklace in 18k rose gold is a gorgeous design to treasure for many years to come. 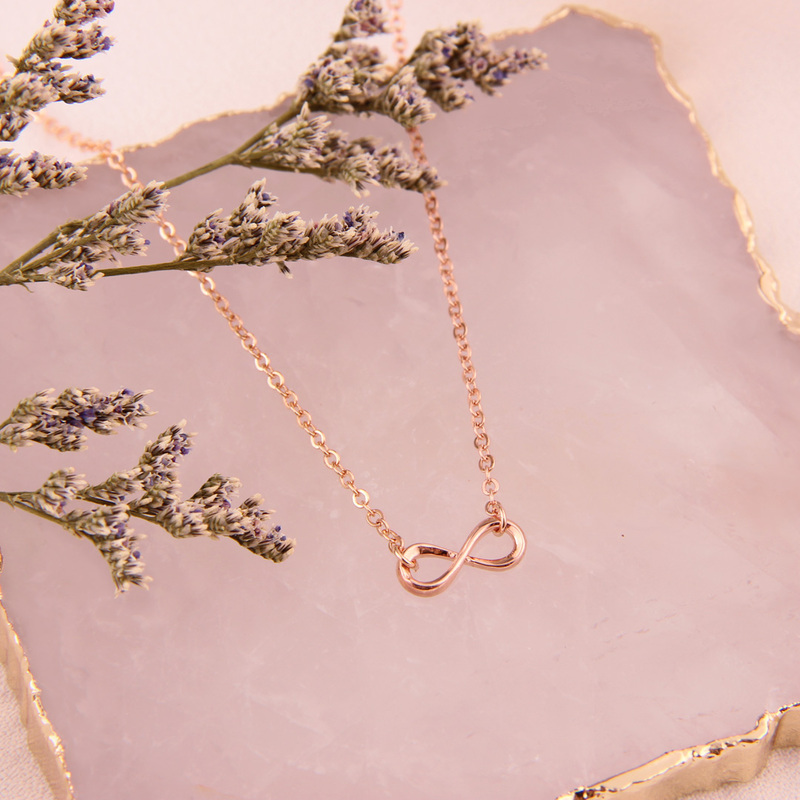 The simple and striking infinity symbol adds a modern touch to this pendant. 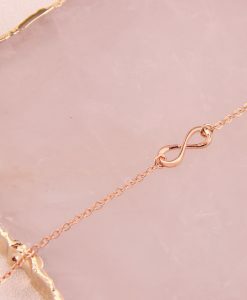 Infinity is a powerful symbol of continuous connection, energy and vitality. 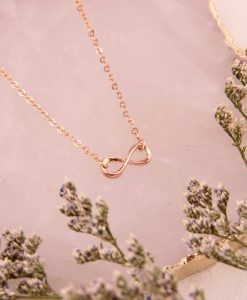 The infinity symbol is seen to represent eternal love or everlasting friendship and makes a gorgeous gift for any occasion, perfect for birthdays, valentine, anniversaries, wedding, bridesmaid gifts or simply as a token of love and friendship. 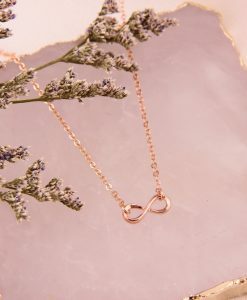 The Mini Infinity Necklace features a delicate infinity pendant suspended from a delicate gold plated chain. 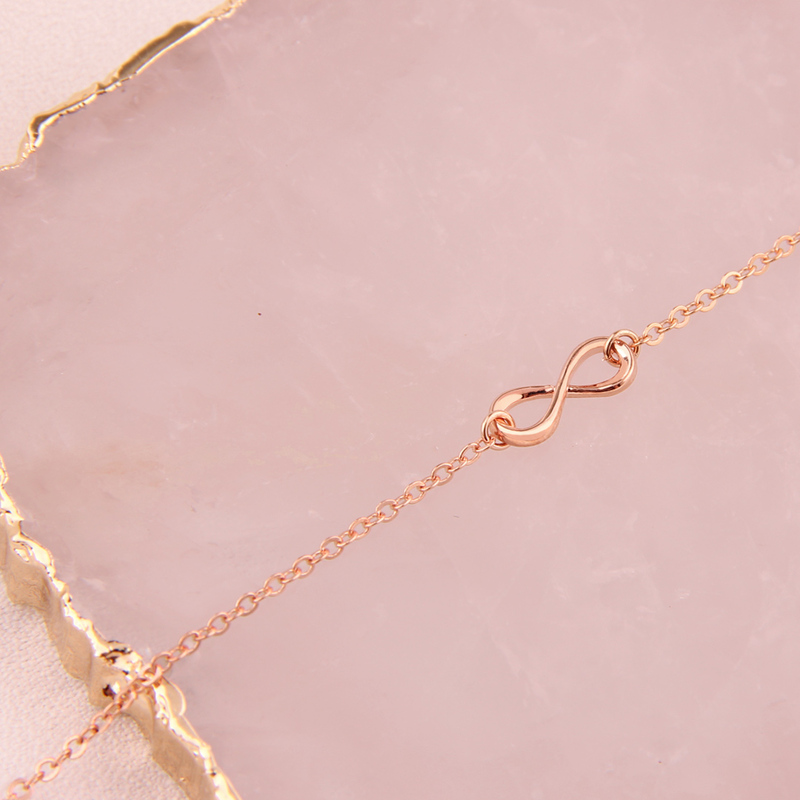 Simple, contemporary and modern, the Mini Infinity Necklace is the perfect wear-with-anything piece.